A Groovy Hippy Woman Costume including a Top, Flared Trousers, and Hat – Ideal for a 1960s theme, a Hippie theme, or any fancy dress occasion! Peace out with this fantastic Groovy Hippy Woman Costume. 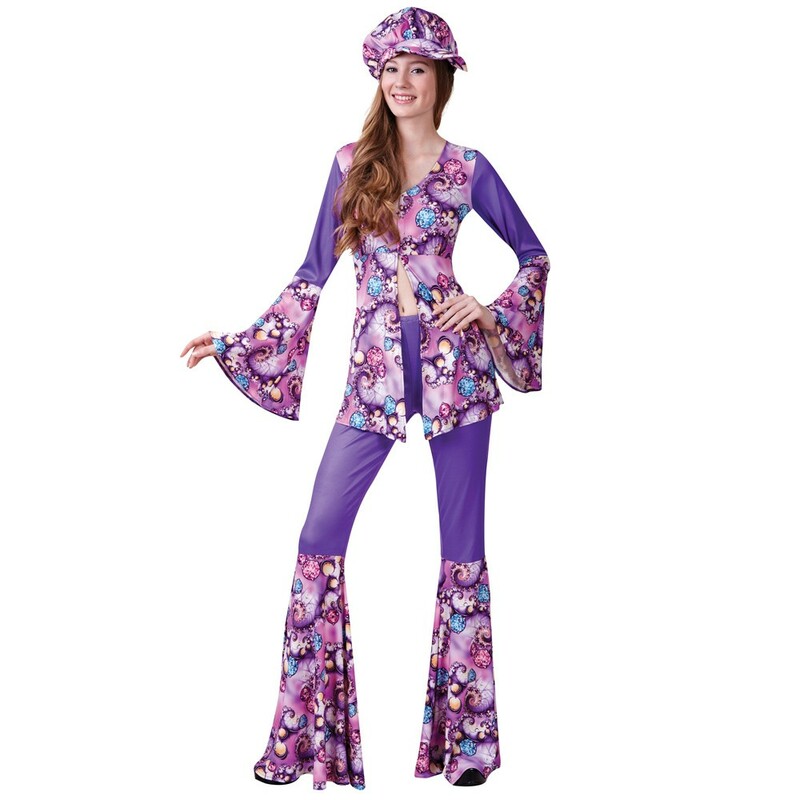 This stunning Groovy Hippy Woman Costume comes complete including a Top, Flared Trousers, and Hat. The long sleeve Top features a cut open front design, bell sleeves, and a funky purple pattern. The Flared Trousers also feature the contrasting funky pattern on the leg. Complete this funky Groovy Hippy Woman Costume with the matching Hat for a totally groovy fancy dress look. Perfect for a 1960s theme, a Hippie theme, festivals, a TV & Film theme, or any fancy dress occasion, this Groovy Hippy Woman Costume will give you some flower power! A Groovy Hippy Woman Costume including a Top, Flared Trousers, and Hat.